It was hypothesized in previous studies that the Exxon Valdez oil spill in Prince William Sound, Alaska, induced heritable mutations and resulted in mortality of pink salmon (Oncorhynchus gorbuscha) embryos. 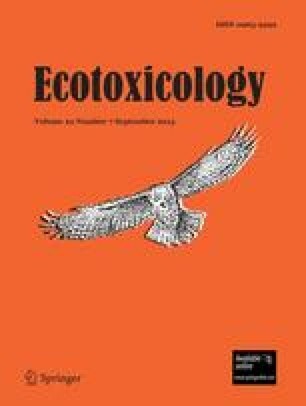 In one of these studies, laboratory exposure of pink salmon embryos to crude oil resulted in apparent mutation-induction in exon 1 and exon 2 of the K-ras oncogene, but no fish from the area impacted by the oil spill were analyzed. We assessed K-ras exon 1 and exon 2 DNA sequences in pink salmon from five streams that were oiled and five streams that were not oiled by the Exxon Valdez oil spill in Prince William Sound, and two streams with natural oil seeps and one stream without seeps on the Alaska Peninsula. Of the 79 fish analyzed for exon 1 and the 89 fish analyzed for exon 2, none had the nucleotide substitutions representing the mutations induced in the laboratory study. Other variable nucleotides occurred in similar proportions in oiled and non-oiled streams and probably represent natural allelic variation. These data do not support the hypothesis that heritable mutations in the K-ras gene were induced by the Exxon Valdez oil spill or oil seeps.